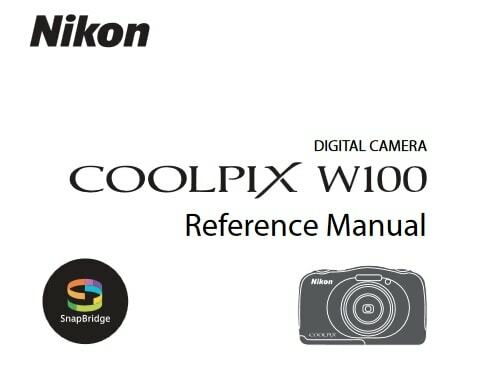 Nikon 1 J5 Manual is aimed to fulfill the needs toward information of both technical or instrumental issue among this digital camera product especially for Nikon 1 J5 model. This model has a 20.8-megapixel BSI CMOS CX-format sensor, Nikon 1 J5 takes sharp images with good dynamic range, especially at lower ISO speeds. At higher ISOs, the J5 also performs well, but is heavy-handed with its in-camera noise reduction. It is included a 3″ touchscreen LCD that tilts upward 180 degrees for ‘selfie shooting’, numerous special effects, and Wi-Fi with NFC. Other, this model is more conventional shooting modes like Programmed Auto, Aperture and Shutter Priority, as well as Metered Manual. When Nikon 1 J5 was firstly released to the market? How much the price when Nikon 1 J5 firstly released? Nikon 1 J5 is a good choice for anyone who wants an easy to use camera that delivers good-looking pictures with pleasing color and plenty of resolution. It was announced by Nikon on April 2, 2015. In the first release, Nikon 1 J5 pricing in two bundle variants, either with a 10-30mm kit lens for around $500 USD or with a 10-100mm kit lens for around $900 USD. Now, if you’re interested to own this compact digital camera device, you can get it in several online stores by paying for the used products start from $299.00 of the Nikon 1 J5 Mirrorless Digital Camera w/ 10-30mm PD-ZOOM Lens. digital camera especially of Nikon 1 J5 models. Read this manual thoroughly before use, and keep it where all those who use the product will read it. 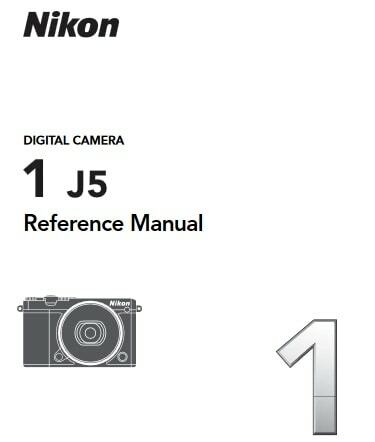 Feel free to download the nikon 1 j5 manual user guide at below. 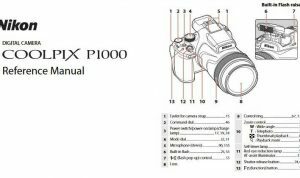 Visit here to go back for the list of Nikon User manuals here.